Peta Prior is Australia's Leading Face Exercise Coach who has created her very own face exercise program called Facerobics®. 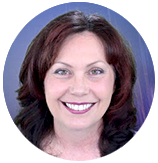 She is known as "Your Face Exercise Coach" because she is committed to supporting you through your facial exercise journey. The Facerobics® Face Exercise Gym has been created to guide you on a more deeper level through your journey. Once you start your Face Exercise journey you will find miraculous changes starting to happen not just with your face but all levels of your life. The Facerobics® Face Exercise Gym will keep you on track with weekly teaching webinars and motivation, meditations and much more. The Gym will help you remain positive and encouraged, no matter what is happening to you and Peta will be with you every step of the way. NEW! You can now join the Gym using your Credit Card you do not need to open a PayPal account! Just choose the Credit Card Option during Checkout. Imagine a program that will transform your face by smoothing, lifting, firming, sculpting and contouring your sagging facial muscles without the use of costly fillers, injections or risky, time restricting surgical procedures. Facerobics® will do just that and in most cases provide better, more lasting results. The Facerobics® Face Exercises are designed to target your specific underlying muscle groups which begin to atrophy as you age. As these muscles are exercised your skin will take on a more natural, youthful, toned appearance, wrinkles will literally melt away and sagging in most cases will disappear. Face Exercises are completely natural, safe and the best anti-aging and self care activity you can do for yourself! No drugs, chemical peels, pain and best of all it is a totally refreshing alternative to other costly, more risky options on the market today. And best of all it is free to do anytime, anywhere you wish! The picture to the left is when Peta was 47. The aging process was settling in and she didn't even know that she was starting to change. You can see her neck and jowls starting to droop. By the time she hit 50, only 3 years later, you can see how accelerated her ageing process was. There was a full sagging of her face and neck, which made her look old and tired. When she saw this picture of her, oh boy, she knew she had to change - something! Peta then went about finding an alternative to injections, fillers and a face lift, as she thought that was all that was available to her. Then thankfully Peta found facial exercises, and created her own program! The picture to the right (below) is Peta at the age of 57, 10 & 7 years older than her before pictures shown above. Miraculous changes and you can do it too! When you join the Facerobics® Face Exercise Gym, just for joining you will receive the beautifully mastered "Young Again" meditation for FREE valued at AUD$39.50. This is a 6o minute meditation that takes you on a journey into other realms which will help you be "Young Again". Peta's gift to you for joining the Gym! Please remember, what the Gym is today, is not what it will be all the time, it is an organic evolving work, that we all can be apart of! Peta invites you to come along on the journey with her! For any queries regarding the Gym Membership please contact Peta at the Contact Us Support Page at the link in the top right hand corner of this page. 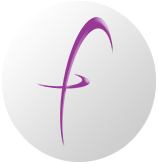 Facerobics® Face Exercise Gym is a super affordable, interactive "premium" membership site offering free access to live Webinars and exclusive, in depth information "in real time" from Peta. You also be given the opportunity to join my Exclusive Members Only Facebook page where you can receive help and support others in the Facerobics® Community. RENEW ME® Natural Skincare, created by Peta Prior, offering high end, multi-purpose, anti-ageing skincare, specifically formulated for skin sensitivity. RENEW ME® is now backed by Independent Clinical Efficacy Trials which reported an incredible overall skin improvement of 100% in all subjects. Clinical Efficacy Trials have also proven that 87% of the subjects improved after just 3 weeks of use of our RENEW ME® Laser Lift & Serum. Formulated with natural, therapeutic ingredients, not tested on animals and of course Australian made! Peta is Australia's Leading Face Exercise Instructor and is known as "Your Face Exercise Coach". Peta is a qualified Beauty Therapist. Drawing on this experience she created Facerobics®. 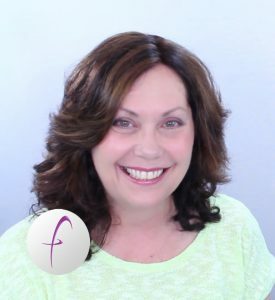 Facerobics is a FREE face exercise channel which offers a comprehensive facial exercise program which, when practised regularly will take years off your appearance bringing amazing changes in your life! 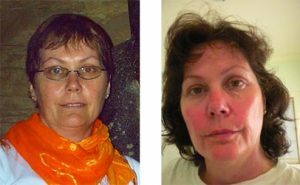 Facerobics® Face Exercises will help you "age backwards". Subscribe and start your face exercise journey now! Purchase a Yearly Membership Now!